The second installment in their The Pattern Beneath The Plough series sees The Owl Service releasing a full album's worth of material - a follow-up to their EP-length collection of winter-themed folk songs, The Burn Comes Down. Once again the septet are joined by contributors Joolie Wood (of Current 93) and Mellow Candle's Alison O'Donnell, and the resultant recordings feel like the most complete collection of songs yet from the band. The album opens with a wonderfully atmospheric cello rendering of 'Polly On The Shore', set to a backdrop of vinyl static, portentous drum rolls and bells - both of the sleigh variety and the sort that might announce an imminent public hanging. It's a fittingly spooky opening to an album named after an M.R. James ghost story. Subsequently, 'The Banks Of The Nile' direct us towards more expected folk-rock sounds, but there remains an evocative sense of darkness running through much of the record - which makes a certain amount of sense given the thematic persistence of death and executions across this tracklist. Occasional acappellas like 'Sorry The Day I Was Married' and the apparently woodland-recorded 'In Thorneymoor Woods pt.1' entrench the Owl Service in folk heritage, yet they're equally at home channelling the fusionist sounds of the 1970s, electrifying their guitars and plugging in their Mellotrons for a great version of 'The Bold Poachers' before reverting once again to more vehemently traditionalist sounds on the Maypole-compatible 'The Ladies Go Dancing At Whitsun'. 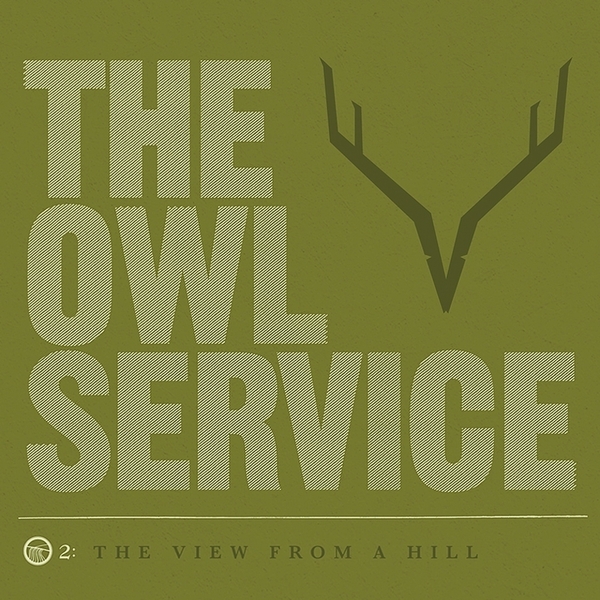 The key points of reference are bands like Steeleye Span, Fairport Convention and Pentangle, but on The View From A Hill, The Owl Service are really starting to sound special in their own right.